Marcus Stroman (SP - TOR) Stroman's first start off the DL was his best as the Blue Jays downed the Angels 4-1 Saturday. The 27-year-old went five innings, allowing no earned runs on six hits while striking out five and walking one. The start lowered his nasty 2018 ERA to 6.80 as his season got off to terrible start. If Stroman can cut down on the walks, and strand more than the 57% of runners he is currently sitting down, he could prove to be a useful piece in most leagues. If he is available in your league, he is worth an add if the room is there on your bench. 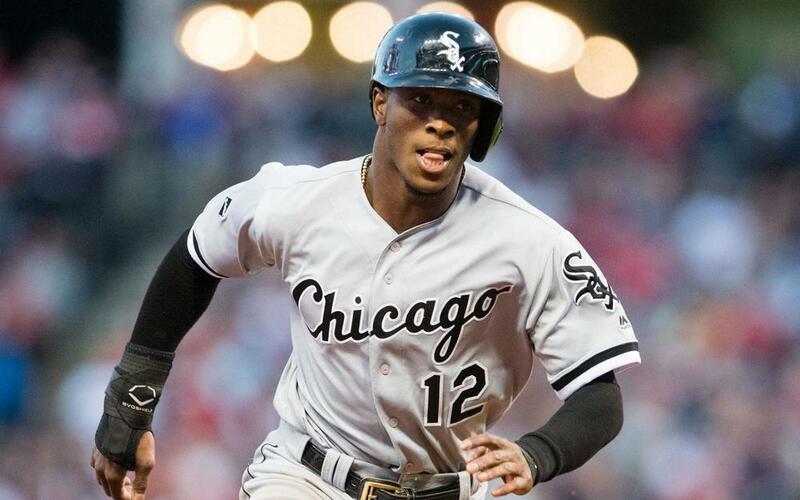 Tim Anderson (SS - CHW) Despite the White Sox falling to the A's 7-6, Anderson celebrated his 25th birthday in a big way Saturday. The Sox shortstop went 2 for 4 with a three-run homer, and two runs scored at the dish. On the season, Anderson's slash remains far from impressive at .239/.302/.436, but you drafted him for his 20-20 potential, which he remains on pace for as he now sits with 13 homers and 15 steals. Anderson has also chipped in with 31 RBI and a team leading 41 runs scored. He continues to produce value considering where he was drafted before the season, especially if you were able to compensate for the average and OBP that are lacking. There is still room for him to improve his plate discipline at age 25, but his other numbers make it an easier pill to swallow. Eddie Rosario (OF - MIN) Despite the Twins coming up on the short end of a 9-6 score Saturday, Rosario stayed dialed in at the plate. The 26-year-old went 2 for 5 with a home run and four RBI on the day. Overall Rosario is slashing .317/.355/.582 with 17 home runs, 50 RBI, 53 runs and six stolen bases. His performance has him as a top ten outfielder in fantasy and has shown no signs of slowing. His 151 wRC+ is an indicator of him being the most consistent performer for a Twins offense that has underachieved in 2018. His 39.1% hard contact rate, which is up nearly 8% from 2017 is also and indicator of the type of season he is having. Continue to reap the benefits of the priced you paid for Rosario. Willy Adames (SS - TB) The rookie shortstop came up big in the Rays 4-0 shutout of the Yankees Saturday. Adames was 2 for 4 with a homer and two RBI on the day. In his first season, the 22-year-old is slashing .231/.268/.365 with two home runs, six RBI and five runs scored in 56 PA. Adames has hit at every level of the minors, and figures to be a key bat in the Rays' lineup for years to come. However, he will need to cut down on his 41.1% K% and increase his 5.8% BB% for that to happen. If he can get back to being a bit more patient, as his double digit BB% in the minor leagues suggests, he will be a consistent part of fantasy lineups. It appears the Rays are willing to let the kids play and figure the game out at the major league level. Be patient with Adames, as he has a ways to go to be a fixture in your lineup, but he is a dynasty must have. Mitch Haniger (OF - SEA) The young outfielder came up big in the Mariners 7-2 beatdown of the Red Sox Saturday. Haniger was 2 for 5 with three RBI on the day which continued his breakout 2018 season. Overall, the 27-year-old is slashing .267/.353/.498 with 16 home runs 58 RBI and 38 runs scored. Haniger has been a big part of the surge toward the postseason in Seattle and has been a consistent piece of the lineup. His 11% BB% has helped make up for his BABIP dropping 38 points to .300 from 2017, but his .359 wOBA shows he has chipped in plenty of extra bases for the Mariners in 2018. Ron brings close to 20 years of fantasy experience from playing in all formats of baseball, football, and even a little basketball. Dynasty, redraft, roto, IDP, DFS, you name it, he’s played it. A native Hoosier living in Southwest Florida, he’s a fan of the Rays, Colts, Pacers and The U. He is also a bobblehead collector, and always in search of those stadium giveaways. When not buried in fantasy sports stats, he enjoys spending time with his beautiful wife, four amazing kids, and his Golden Retriever Elwood.